PK is the winner of our giveaway book, Resin Alchemy! Congratulations!! Connie's posted the next two section of the free SAL. There's still plenty of time to get started! If you are familiar with the magazine Veranda, you know that it's all about gracious beauty. Well, here's a coffee table book for you that will help you to drift away into that romantic, gracious, and stress-free zone as the holiday season descends upon us! 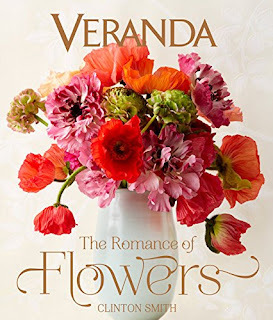 The Romance of Flowers, by Clinton Smith, and published by Hearst Books, an imprint of Sterling, is an enormous book that you can just fall into and forget all about life for awhile. And don't we all need that from time to time? 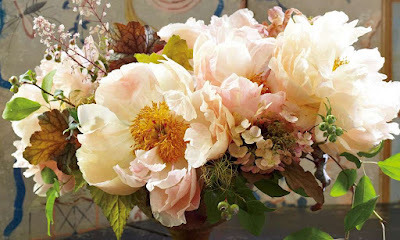 There are photos of flowers in close up, floral arrangements set in beautiful rooms, and flowers in lovely still lifes. 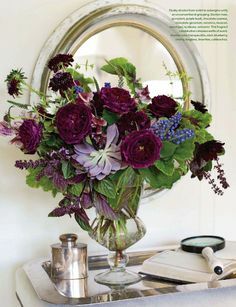 There is also a running commentary by Clinton Smith about the flowers, the fashions, and the fashion makers...but to be 100% candid, I haven't read it all yet! 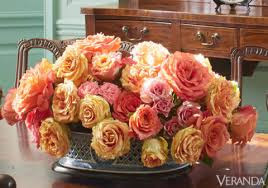 I got so mesmerized by the flowers that I decided to look first and read later. This is a book that I think I will find myself dipping into a little at a time when I need to refill my well or just grab a few moments of relaxation. 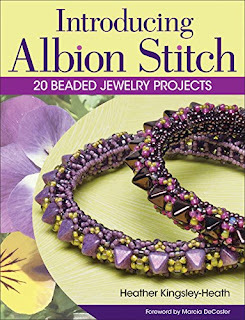 A few new books to get you ready for a new year, featuring a new stitch and some new markets! Books don't have to be brand new to be good choices for holiday gift-giving! Resin Alchemy was published in 2013, but there are still a lot of people who are excited about the techniques it teaches. My original review is at the link. So, who would be interested in maybe winning a copy, for yourself or to give to someone else? 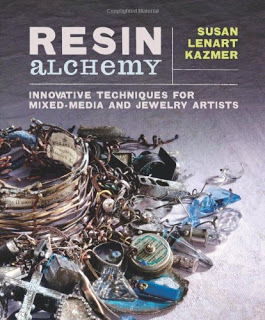 Join award winning artist and trusted mixed media master, Susan Lenart Kazmer in this jewelry making book about one of the hottest trends: resin. Advance your skills as Susan takes you through all the steps for working with resin, from basic mixing and pouring advice to more involved techniques including resin casting. 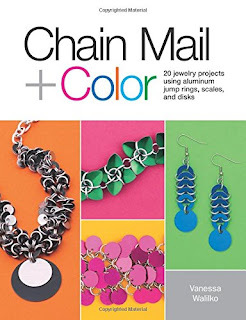 Unlock the design potential and take your resin jewelry to the next level with this comprehensive book bursting with inspiration! Create projects that highlight stunning artistic effects with color, found objects, texture, casting, collage, and more! 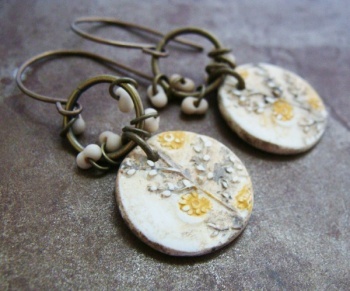 Discover how versatile this material is as you uncover all of Susan's resin secrets. 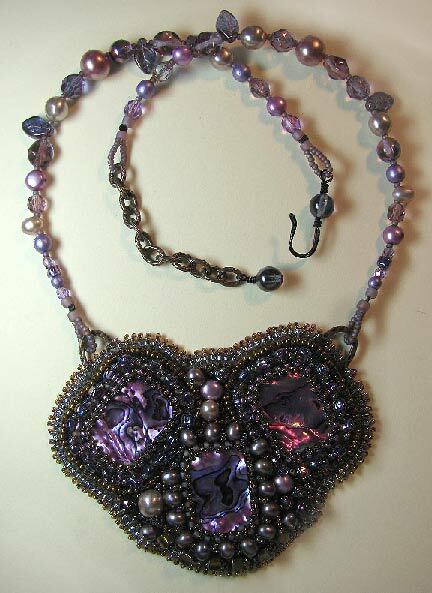 I love Heather Powers's work, especially her glorious polymer clay beads, but also her finished jewelry which she puts together using a lot of her own wire and metal elements. In her new book, Beautiful Elements, published by Kalmbach, Heather brings it all together in a delightful celebration of designs from the heart. 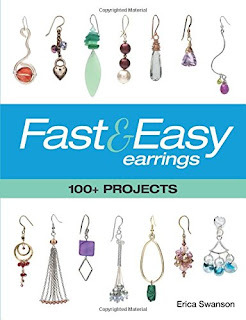 Even though I would consider this an intermediate book, the thorough Basics section in the beginning, covering materials, tools, and techniques for making jewelry, working with polymer clay and metal, mean that a beginner can play too. 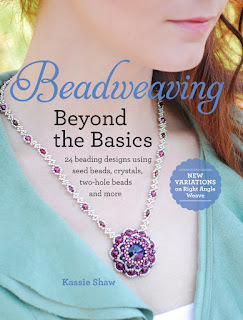 If you like Heather's style, grab this book and learn from the very beginning how to make your own findings, links, drops, pendants, and beads, rather than buying manufactured ones that everyone is using. 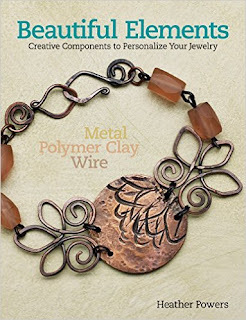 Heather's book will teach you how to "sketch" on metal, add amazing texture and personal imagery, create your own charms and drops, and make custom beads from polymer clay. Throughout, there are projects to help you practice your new skills. 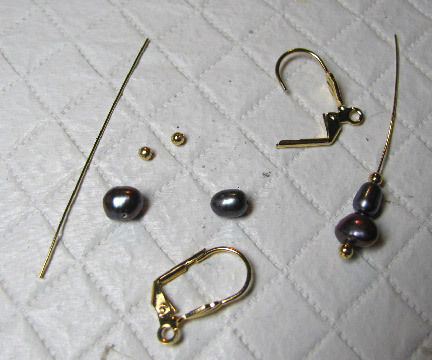 All are made with minimal tools, including all cold connections, so there are really no worries for a beginner! 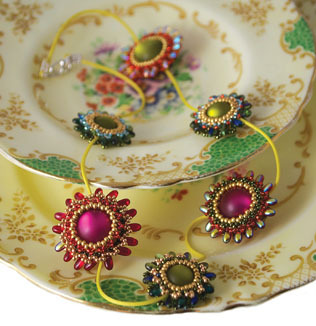 Nealay Patel has put together some lovely projects for this new Kalmbach book, Jewelry Designs with Knitted Wire. You might remember that I shared a project with you, using metal mesh as a design element in a necklace named Midnight Sky of Distant Stars. 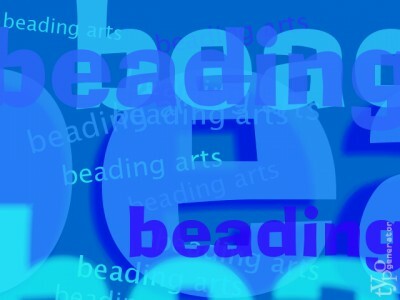 We also looked at using it in the third chapter of Bored By Back Stitch again as a design element. Nealay's take on this material is broader and slightly different from mine, so I was very interested to see what he was doing with it. Wire mesh in three forms is explored in this book: hollow (flexible, the type I used), flat (stiff), and mesh filled with leather cord. There is a good basics section included, with the tools and special findings you will need to add this material to your repertoire. You probably already have most of them! There are 32 projects included. 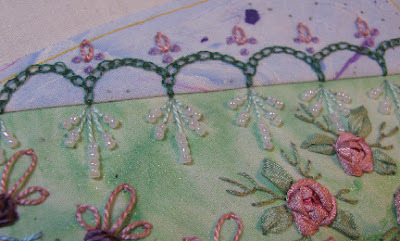 Most treat the mesh like an armature: stitch through it, fill it, treat is like soutache braid. 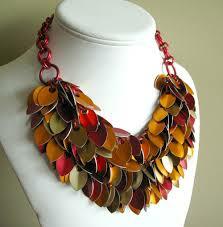 But other treatments push a little further: slip it over wire, use it as necklace straps, form it into bezels. This last idea is pretty exciting, don't you think? 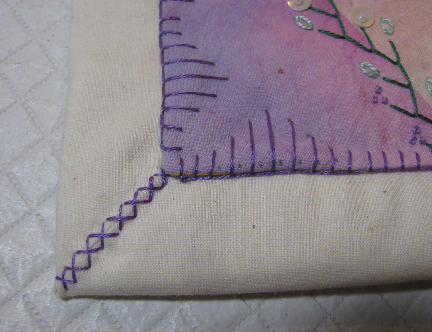 ...then you already understand the basics of albion stitch. Heather Kingsley-Heath has developed this into a versatile new beadweaving stitch. And for that, the whole beady world should thank her! In her new book, Introducing Albion Stitch, published by Kalmbach, Heather takes us through all the variations that we expect of a beadweaving stitch: flat, flat round, tubular, lace effects, and 3D structures. Increasing, decreasing, and varying the stitch length is taught in each section through a delightful set of projects. 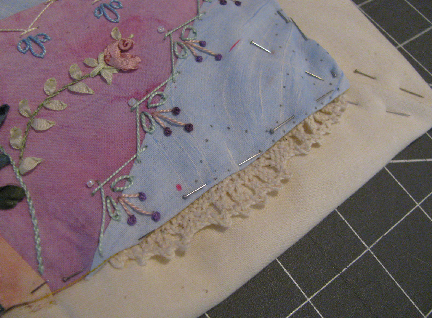 Though you don't need to do all of them, following through in order will allow you to build skill upon skill as you master the stitch. 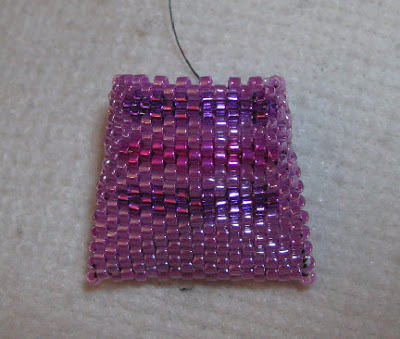 Heather wants you to be able to explore on your own too, so she has included projects that add the new shaped beads and multi-hole beads, and she also gives tips for trying different sizes, shapes, and colors of beads. This is the first truly new stitch in quite a while, and I don't think any of you seed bead fanciers are going to want to miss it! 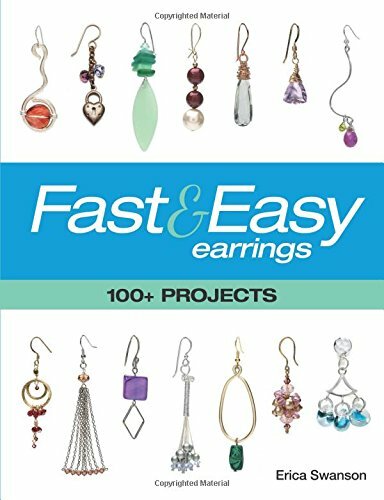 Fast & Easey Earrings, edited by Erica Swanson and published by Kalmbach, is a great beginner's book and is perfect for holiday gift-giving also! There are more than 100 projects by 47 different designers, in all types of materials: crystals, glass, metal, wire, stones, pearls, and mixed media. The projects are culled from BeadStyle magazine by Kalmbach. 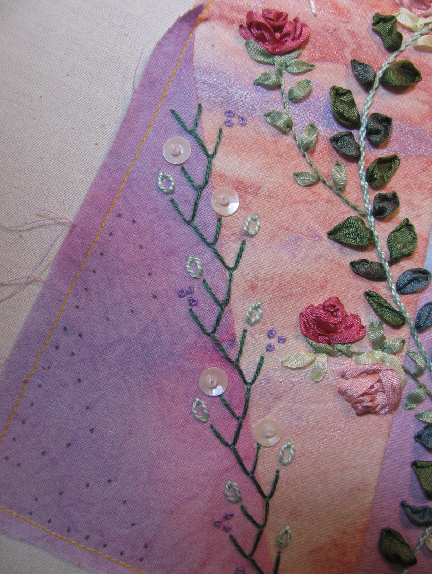 Right up front, basic materials are identified and explained. Step-by-step basic techniques are taught with lots of clear photos and illustrations. 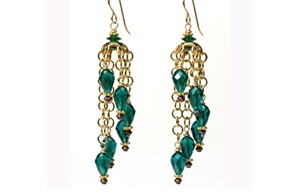 Many of the designs could be made in under an hour, so seriously, think about this book not just for holiday giving, but also for holiday gift-MAKING :-) I am especially enamored of Jane Konkel's spiraling dangles, shown below, which are made with crystals, chain, and bead caps! 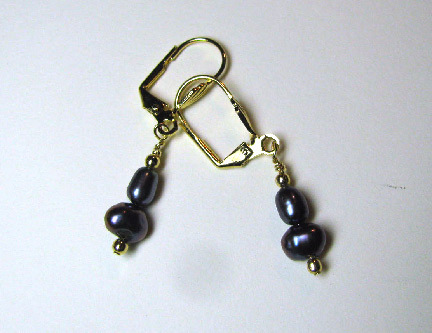 Do you want to add beautiful handmade chains, clasps, and pendants to your work? 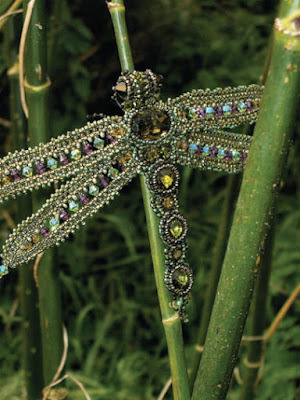 Kimberly Sciaraffa Berlin shows you how in Handcraft Wire Jewelry, a new book by Kalmbach. 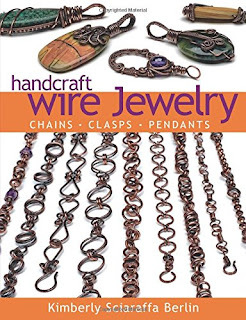 You will need to have some experience working with wire before tackling this book, unless you are an exceptionally determined beginner. 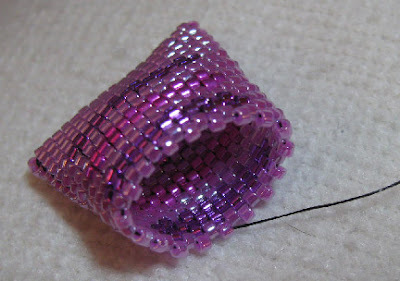 Information on the materials, tools, and basic techniques are right up front, including how to use a bobbin for weaving longer pieces of wire. But the projects become advanced very quickly. 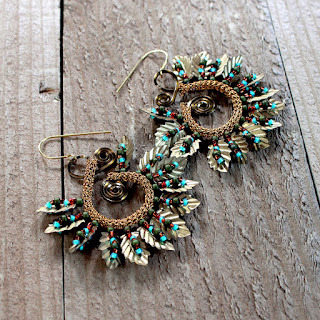 There are some simple wire motifs that Kimberly turns into complex-looking chains. 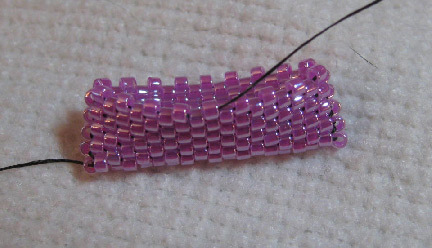 There are instructions for wire-wrapping pendants with beautiful unique results. The book contains lots of alternative and variant design ideas for you to try. 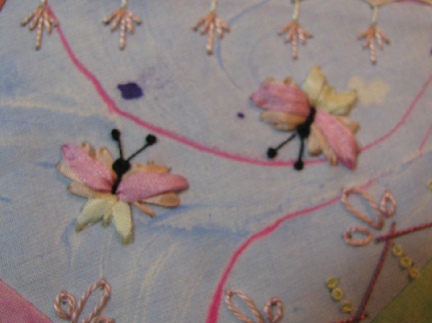 But this is not just components: there are some complete finished piece projects as well. 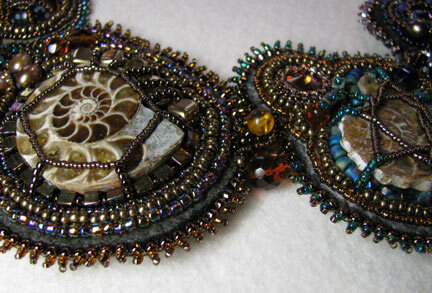 I am especially a fan of Kimberly's pendants, because they don't look like everyone else's. You may already be familiar with some of her work from her book Build Your Own Wire Pendants (review at the link). 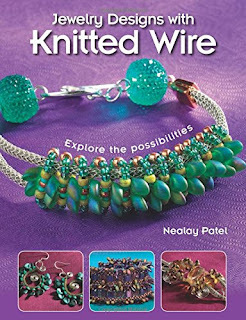 Jean reviews a marvelous new book by Nealay Patel, Jewelry Designs with Knitted Wire. It is very original and totally cool! 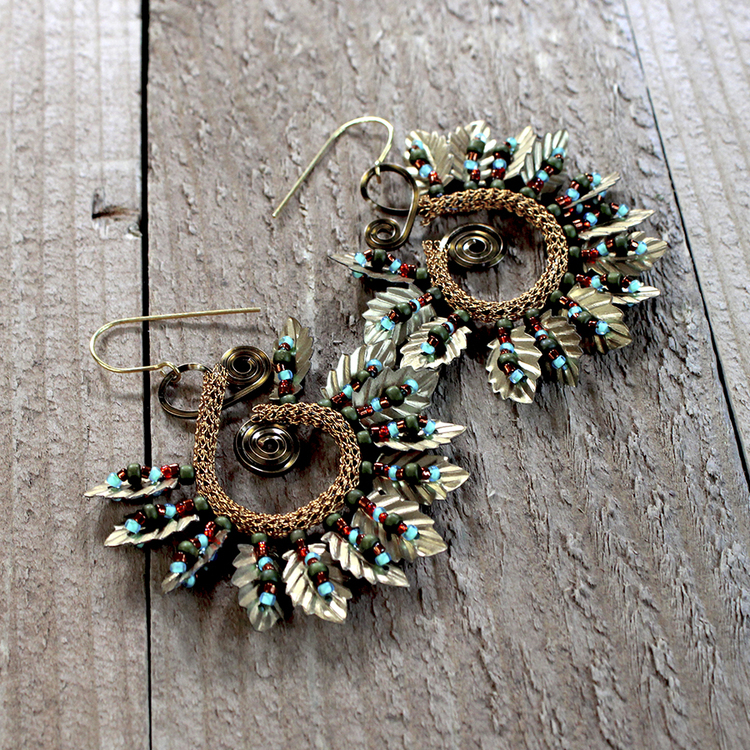 Crochet, knitting, jewelry making, catch up on the crafting action from the Crafty Princess on the latest video podcast. Kids can help make these thumbprint penguin bar towels. They make charming housewarming gifts and fun keepsakes for grandparents, aunts and uncles. Check out the model Connie's cousin Cindy stitched for the David's Puzzle pattern from the Connie Gee's Designs Etsy shop and learn the story behind the pattern name. Yay! I have been wanting to learn how to do diagonal RAW, and it is included in this new book! Beadweaving - Beyond the Basics, by Kassie Shaw teaches some new intermediate variations on right angle weave through 24 beautiful projects. There is a progression through the projects of idea building upon idea, but it's not absolutely essential to work straight through. Kassie wants to inspire people to use the ideas as jumping off points for personal design work. There are three chapters, each featuring a different variation. 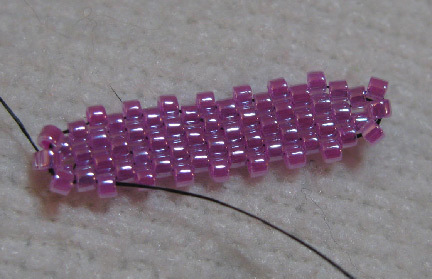 First, double diamond RAW starts with a base of RAW but adds a second pass of beads, one in each "corner". Second, faux RAW, which is also known as "modified RAW". 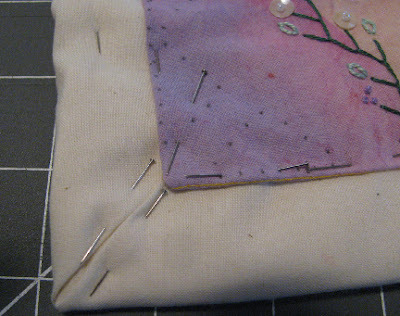 You add a bead between each RAW unit so that you don't have to switch directions in stitching. 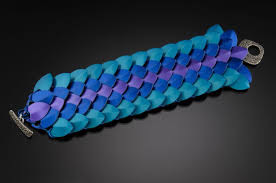 And third, layered RAW, which produces double sided ropes with the heft of cubic RAW, but more flexibility. Other stitches are included in the book (herringbone, peyote, and St Petersburg chain), but these take a back seat. 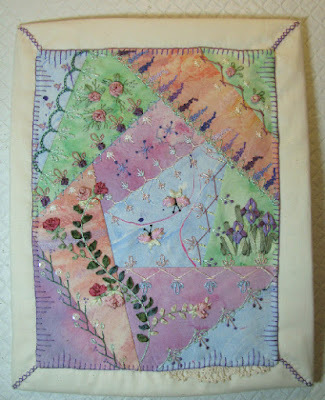 The illustrations and directions are excellent, and basics are included in the front to refresh you on the basic stitches before you take off with the variations. 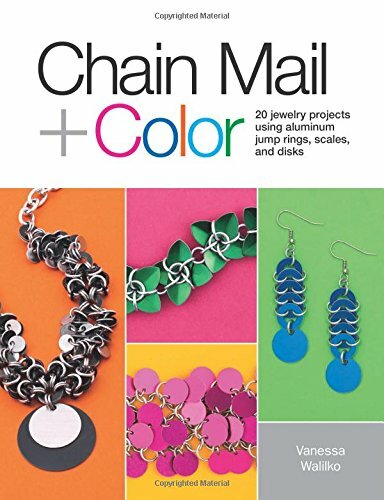 One of the most exciting things to me is that this book presents so many new bezeling possibilities. 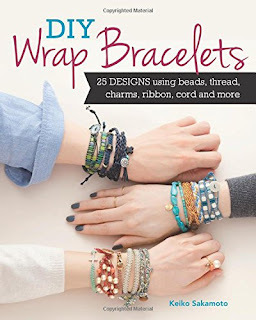 Everyone is crazy over these wrap bracelets, and the interest doesn't seem to by waning at all! 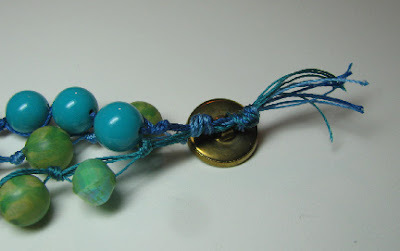 I've shared several tutorials in the past (links at the bottom of the post), but DIY Wrap Bracelets by Keiko Sakamoto has TWENTY EIGHT designs...and if you add in the variations, that should keep you beading for a very very long time! These designs incorporate techniques that include wrapping, twisting, braiding, beading and macramé. 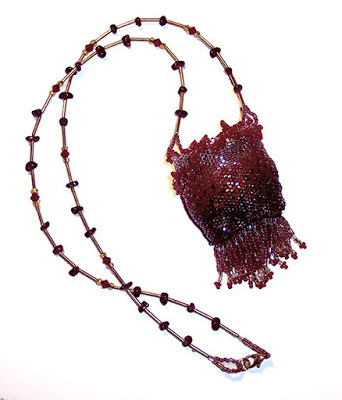 Once you master the techniques, go beyond bracelets with coordinating necklace, earring and brooch designs made from a variety of materials, including leather, gemstones, pearls, beads, fabrics, and thread. Be inspired to fashion a new design for every outfit in your wardrobe—and dare to be bold and layer the bracelets together so you can wear them all! 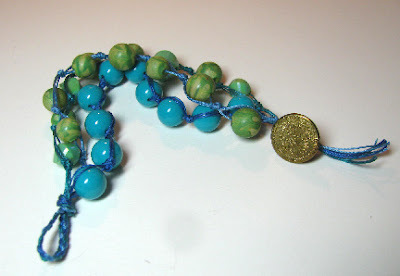 Here's a variation on one of Keiko's designs that I made with C-Lon cord and some vintage beads. Instructions are found on page 91 of the book.